Ready to Ship Sign Supply For Sale Now! 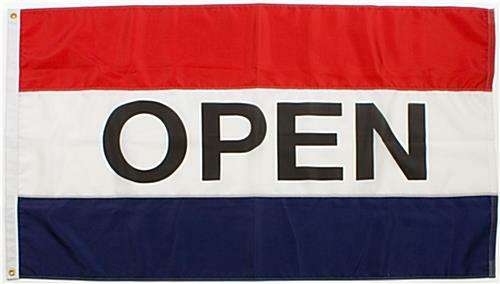 This Sign Supply Lets Passersby Know You're Open! 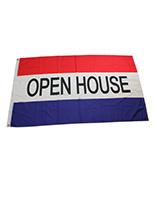 Inexpensive Sign Supply is a Tri-Color Banner Sign that Says "Open"
This open flag, sign supply features a double hem which makes the flag more durable for outdoor use. 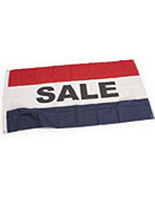 This long-lasting sign supply has two (2) grommets that attach this flag with ease to wherever it will hang. 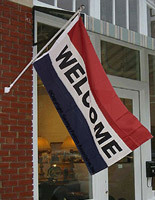 The sign supply, also called an open flag or decorative banner, is about 5' x 3', making is highly visible to passersby. 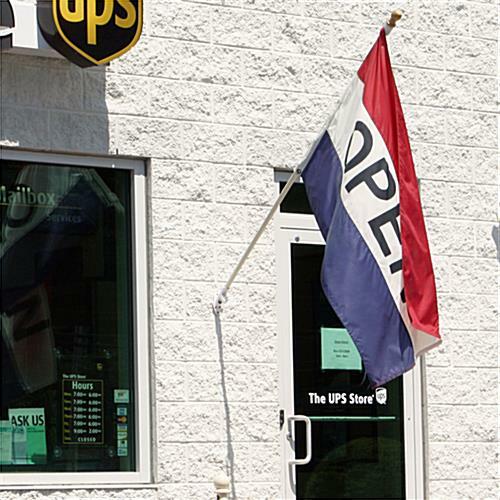 Tell customer you're open when you hang this sign supply outside your front door. 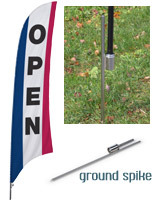 This affordable sign supply for sale makes it easy for customers to see you're open for business! This advertising sign is the ideal sign supply for every commercial storefront. 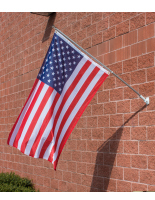 The sign supply, also known as an advertising sign, is red, white, and blue. These brilliant colors grab the attention of passing pedestrians and motorists encouraging them to stop in your business. The cheap sign supply on sale speaks loudly with words! 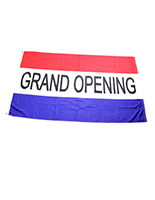 Sitting between the red and blue banners with a white background are the words "open". This advertising banner, sign supply is fabricated from nylon and has a quadruple stitched hem to ensure a long, long life.